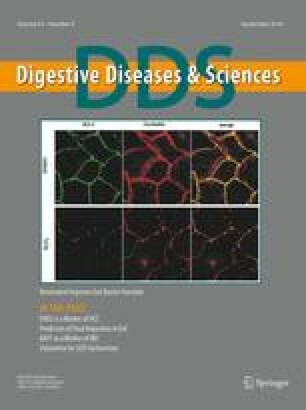 The possible role of Saccharomyces boulardii, a nonpathogenic yeast with beneficial effects on the human intestine, in the maintenance treatment of Crohn’s disease has been evaluated. Thirty-two patients with Crohn’s disease in clinical remission (CDAI < 150) were randomly treated for six months with either mesalamine 1 g three times a day or mesalamine 1 g two times a day plus a preparation of Saccharomyces boulardii 1 g daily. Clinical relapses as assessed by CDAI values were observed in 37.5% of patients receiving mesalamine alone and in 6.25% of patients in the group treated with mesalamine plus the probiotic agent. Our results suggest that Saccharomyces boulardii may represent a useful tool in the maintenance treatment of Crohn’s disease. However, in view of the product’s cost, further controlled studies are needed to confirm these preliminary data.